New to dahlias? Here is some information to help you out. W- White, Y - Yellow, OR - Orange, PK - Pink, DP - Dark Pink, R- Red, DR - Dark Red, L - Lavender, PR - Purple, LB - Light Blend, BR - Bronze, FL - Flame, DB - Dark Blend, V - Variegated, BI - Bicolor. 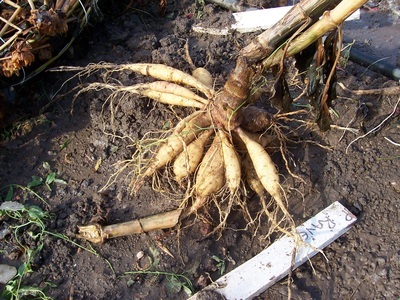 Dahlias grow in most any well drained soil. As for exposure, full sun is best, but they will tolerate some late afternoon shade. Plant after your last frost, usually May 1st to June 1st. 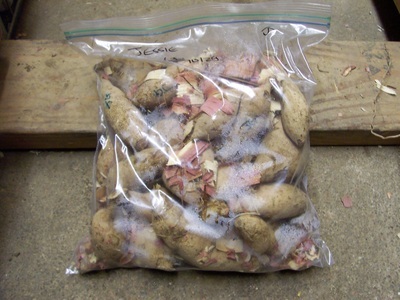 Apply a good compost or balanced fertilizer, avoid high nitrogen fertilizers. 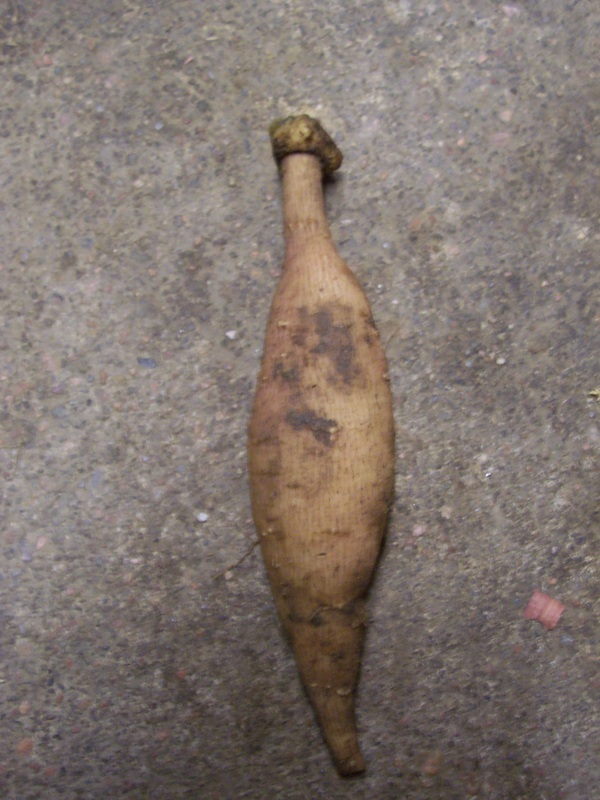 Lay tuber flat in a hole about 4" to 6" deep and cover. As long as spring soil moisture is adequate, they don't need too much water at planting time. All dahlia varieties grow a little different, but a general rule is to space 2 -3' apart. A good stake or tomato cage works well to keep your plants supported. Dahlias grow 1' to 7' tall. Most average 3' to 5' tall. Water as needed 2 to 3 times per week with a deep soak. Plants can be pinched (topped) when 6" tall to encourage a bushy plant with many laterals (recommended). Once buds set, disbudding can be done to encourage longer stems for show and cut flowers. 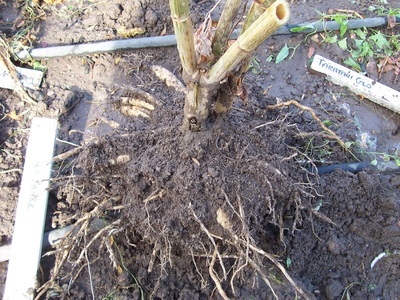 In order to accomplish this, buds form in sets of three - remove the two side buds and leave the main terminal bud. Blooms start late July and continue until frost. Harvest cut flowers in the cool morning or evening. After the first frost of the season, it is time to dig your dahlias. Dahlia tubers will not survive if they freeze so they must be dug in cold climates. You can divide them in spring or fall. Dividing takes practice and patience, but it is well worth the hassle. 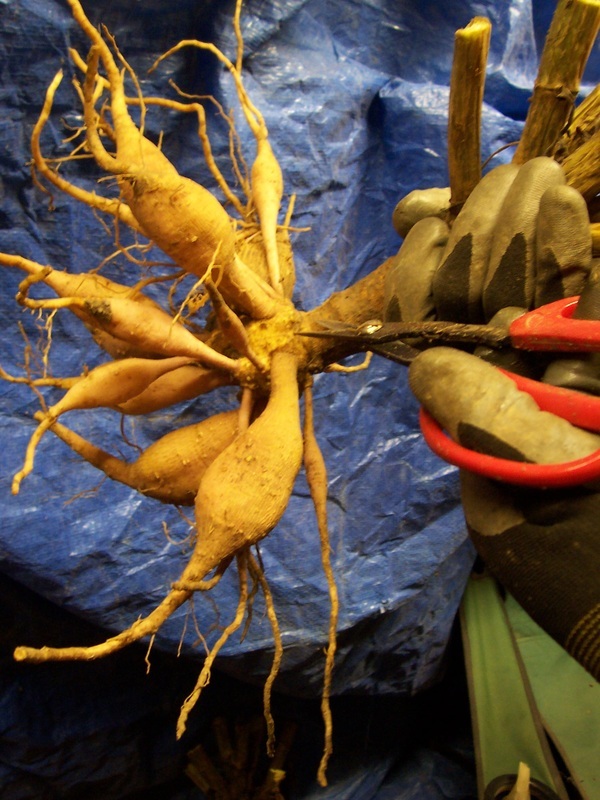 Each new tuber must have an eye for growth next spring. Wash soil off, divide tubers, allow to dry for a short time, bag, and then store them in a cool place that does not freeze. 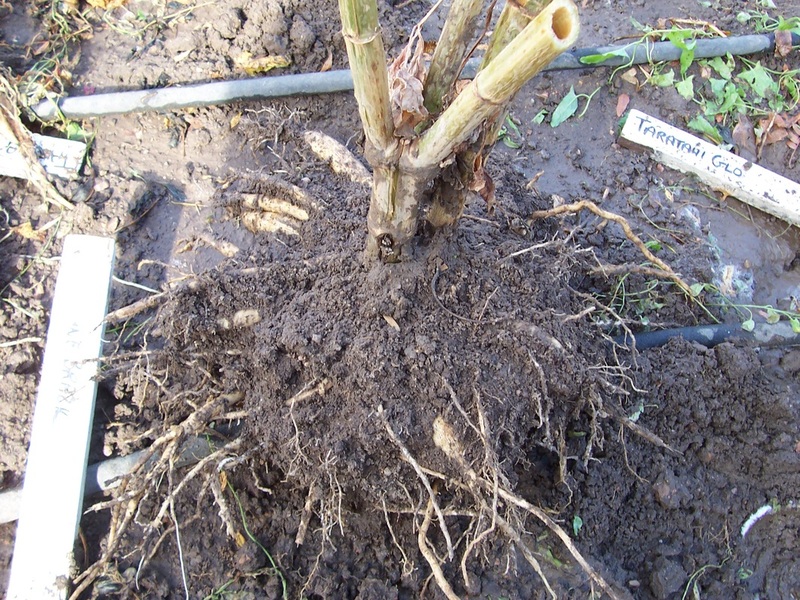 One clump can produce 3-20 new tubers depending on the variety.